Mine: After several really good Marvel movies this was a big disappointment. Way too many characters to make any of them interesting. Lots of noise. Lots of effects. Nothing interesting. The villain's motivations are over the top and show no concept of how population work. Stupid and pointless. Pratt has all the good lines. 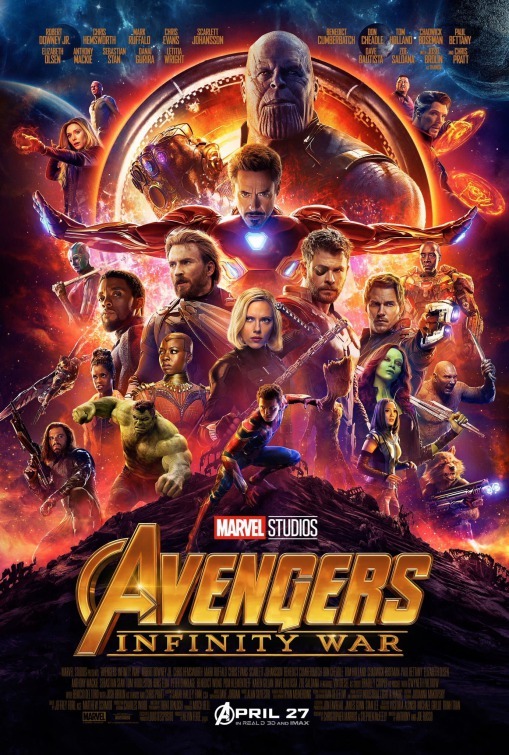 Leonard Maltin/Plot synopsis: The Avengers and their allies must be willing to sacrifice all in an attempt to defeat the powerful Thanos before his blitz of devastation and ruin puts an end to the universe.